Day 4 of the Photo101 challenge is to show an image that represents Bliss. 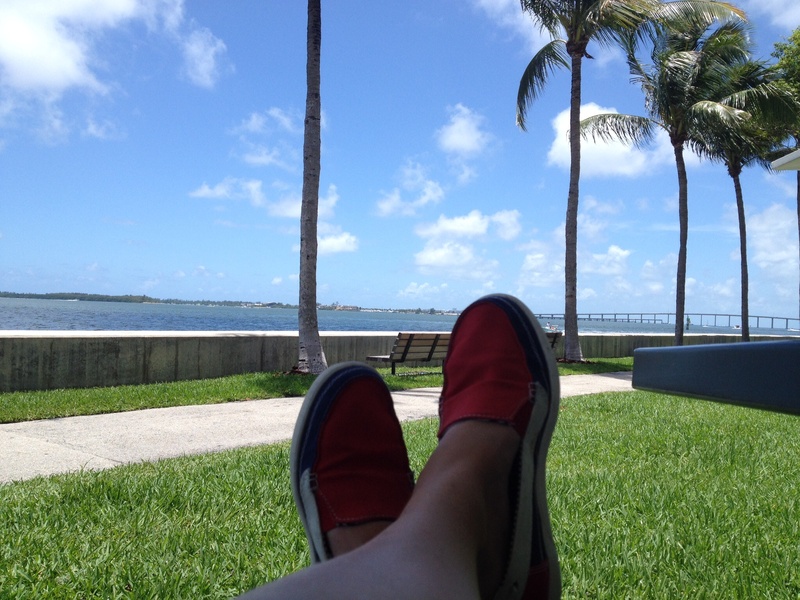 In this picture I am relaxing under the palm trees looking over the bay after a cycle – bliss. 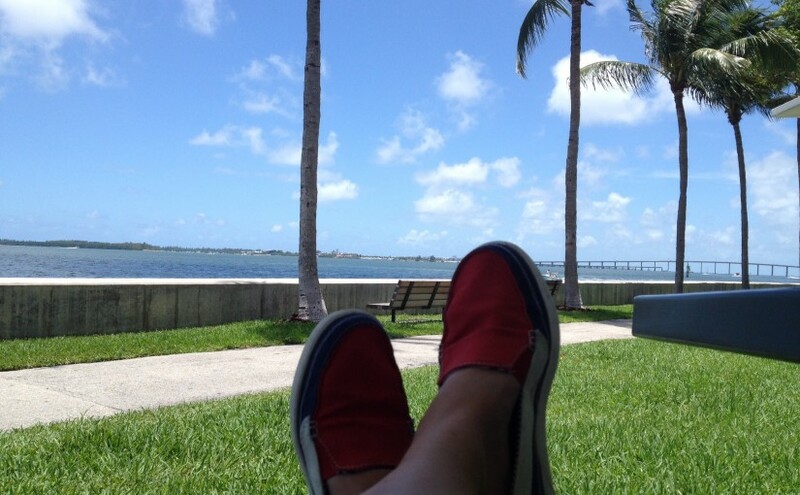 Relaxing by the bay, under the palm trees after a cycle tour to the mainland. Investigating led us to a small island called Brickell Key. I used to live in Key Biscayne and also cycle. It’s a great bike ride! That definitely looks like bliss to me. Great photo too!